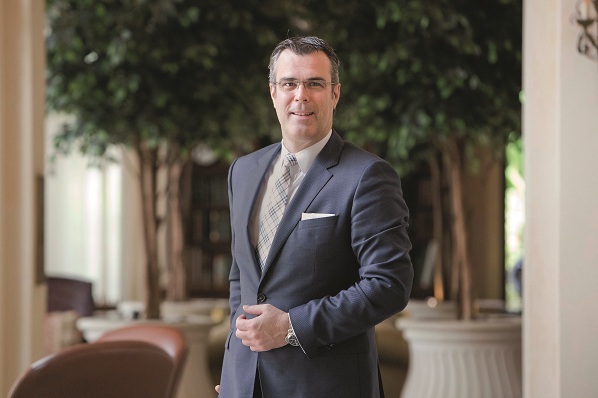 Swiss hospitality company Mövenpick Hotels & Resorts has appointed Olivier Chavy, 52, as new chief executive. Chavy will take over the leadership from Jean-Gabriel Pérès in September. Chavy is a veteran of the hospitality industry with a 28-year track record in hotel operations and brand management. “We are delighted to welcome Olivier to Mövenpick Hotels & Resorts,” says Jürgen Fischer, chairman of Mövenpick Hotels & Resorts. “Olivier will continue to drive value for Mövenpick’s shareholders, hotel ownership partners, employees and guests alike. Chavy has solid operating experience including hotel openings on three different continents. He served as international head, global brand performance of luxury and lifestyle brands for Hilton Worldwide. His experience in brand building and development in the hospitality industry has led him to his current role as president and chief executive officer of Wilson Associates, the leading global interior architectural design firm. Chavy emphasises: “I am thrilled to be joining the leadership team at Mövenpick Hotels & Resorts and to be representing this venerable Swiss brand. Jean-Gabriel Pérès, whose departure was announced early in the year, will support the transition in leadership to Chavy.